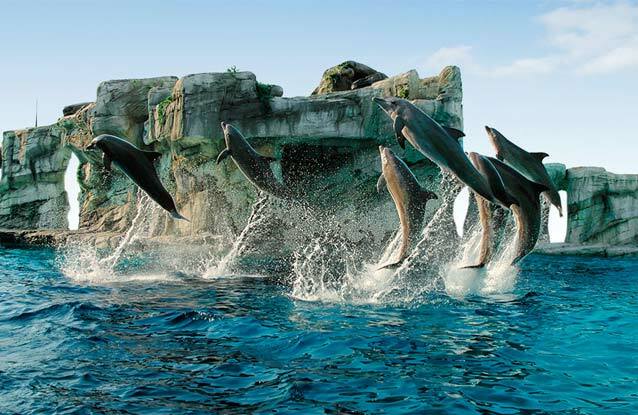 Discover the wonderful parks of the Romagna Riviera, to experience the territory full of fun with the whole family. Over 100 exhibition tanks. Sharks, penguins, turtles and Meduses are just some of the many protagonists of this exciting journey. 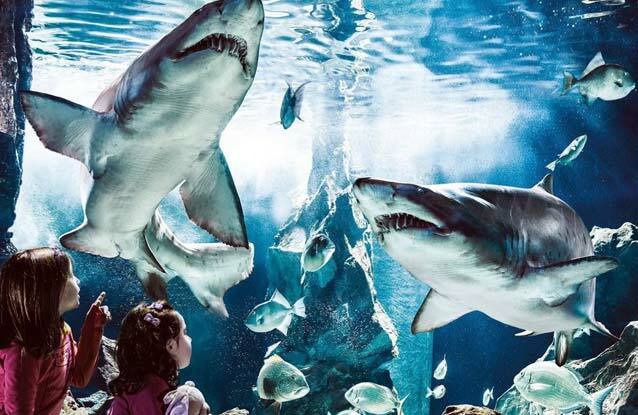 The blue route will show us the history of the planet and with it its biological evolution reminding us through some tanks the species still survived after millions of years, like the great Sharks considered today living fossils. Your visit will be a tour of the world below the surface of the water, starting from the Mediterranean Sea passing through the Atlantic, Pacific and Indian Ocean up to the beautiful and colorful coral reef of the Red Sea, populated by colorful organisms. Here all the Aquarius tanks must be observed with great care, especially the smaller ones, which recreate meticulously different environments, rich in life and mystery. The aquarium therefore becomes not only a fascinating place where beauty shows its best, but an environment of observation and knowledge that allows man greater contact with this world sometimes too far. Advance tickets at the Hotel for a special price! Summer is not summer without Aquafan! From 29 summers on the crest of the wave, the Aquafan of Riccione is the most famous water park in Europe, thanks to its spectacular water games, countless events and its ability to still be today a place of fashion and trend. The 70 thousand square meters of 1987 (the year of the opening), have become more than 90 thousand, with new games, more parking and continuous surprises every day and every night. During the day, fun is guaranteed with fantastic slides, over 3 km in length: from the Kamikaze to the Extreme River, from the Speedriul to the River Run, from the Surfin’hill to the Twist and the Tobogas. Until the last arrival, the StrizzaCOOL, inaugurated in 2010. It is the family-friendly attraction: it allows descents on a raft for 3/4 people at a time. Cost 3 million euros, is the largest slide in the park and has the characteristic of offering two games in one: an adrenaline descent, the other sweeter, between curves and tunnel, with rafting effect. Along with many other water games and the huge swimming pool in Waves, Aquafan also offers three super-equipped areas for children, with slides and animations for children. The most important is the Focus Junior Beach, the area dedicated to the world of Focus. Here is the Noah’s Ark, on top of which children can venture out into the pool in front, through 4 blue slides (3 uncovered and 1 closed), all under the amused gaze of the many animals that inhabit and surround the Ark. A few meters from the Focus Junior Beach there is the Elephant Swimming pool suitable for children. The other area dedicated to children is the Antarctic Baby Beach, the pool to play and have fun like at the South Pole, slipping … but without ice! It is guarded by the great white bear that watches over his little friends, while they enjoy safely descending into two small parallel slides. And then relax areas, shops, restaurants, immense green areas, food points and services of all kinds. 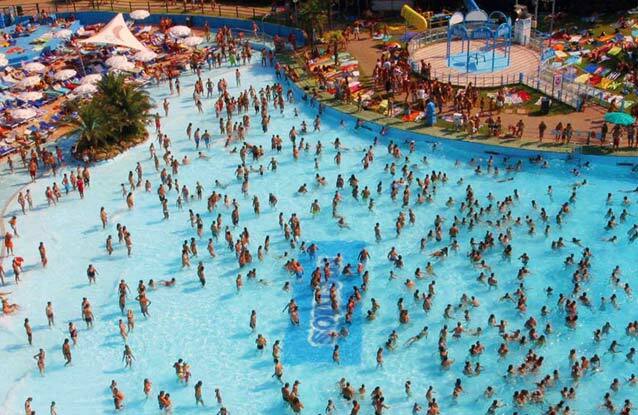 The Oltremare Park was inaugurated in Riccione in June 2004. It was born from an innovative architectural project, in which the technology and the spectacular American experience met Italian creativity. 110,000 square meters of spaces dedicated to Water, Air, Earth, Fire and Energy to meet the growing demand for a qualitative use of free time that combines culture, education, emotion and fun in unique and meaningful experiences for visitors of all ages! Would you like to travel far and wide in Italy and enjoy the hundreds of architectural and artistic beauties? 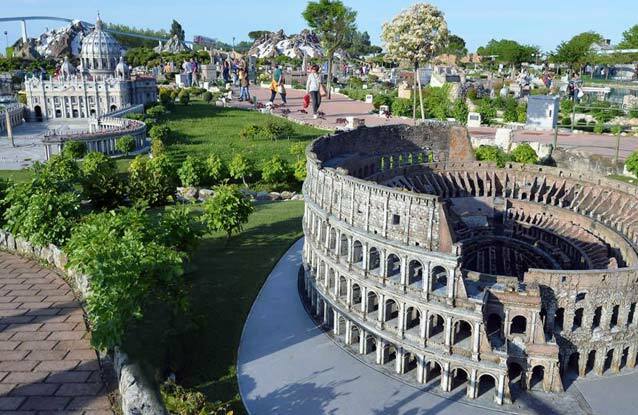 Walking through the peninsula, perfectly reproduced, you can feel a giant while admiring the magnificence of over 270 miniatures of monuments, palaces, historical sites famous in the world, surrounded by over 5000 real miniature trees in a spectacular setting. 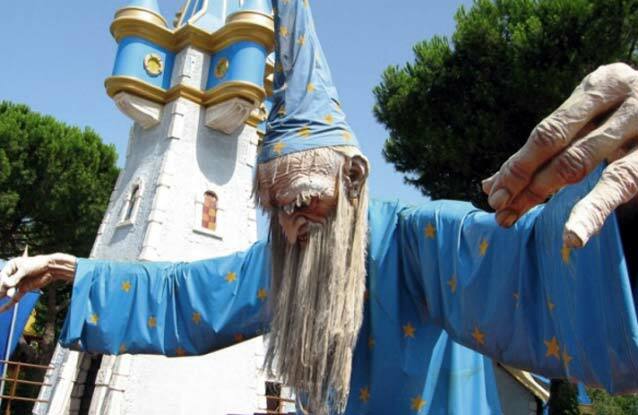 Fiabilandia is one of the oldest theme parks in Italy, it is mainly divided into 4 thematic areas plus some mixed areas. The thematic areas are the Medieval, the Eastern, the Western, the Bay of Peter Pan / pirates and two mixed areas. Thanks to this mix of elements you can ensure fun for the whole family. 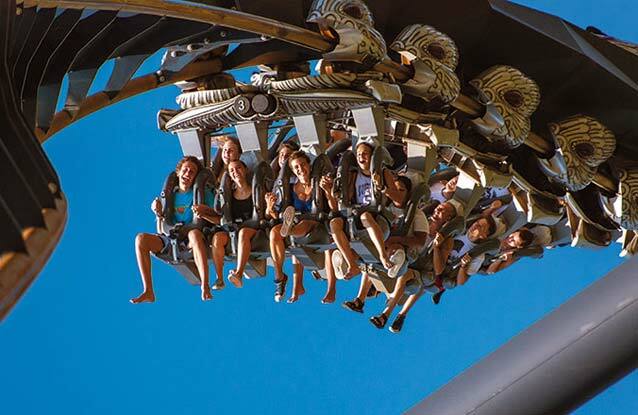 Fun for the whole family, in Mirabilandia you will never be bored. A park full of attractions and events for everyone. San Marino Adventures is a wonderful Adventure Park that offers fun and exciting attractions on the trees and surrounded by nature. 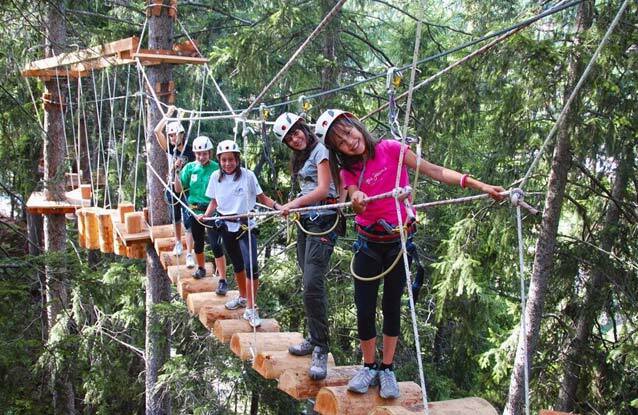 It is the largest adventure park in Europe and among the largest theme parks in Italy, with its 26 routes guarantees fun for children, teens and adults in total safety and immersed in a pristine and adrenaline environment. Cables, catwalks, suspended nets, pulleys, bridges of all kinds, tunnels, climbing walls and much more are just some of the attractions that make San Marino Adventures a unique and coveted destination to spend a day out of the ordinary. In San Marino Adventures Everyone can feel Tarzan, Rambo or an Avatar that moves agile among the trees. The large number of routes and the varied type of games allows a fun for beginners and the most daring. 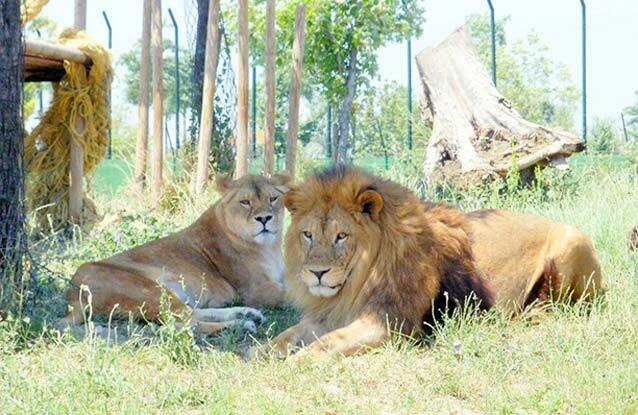 Safari Ravenna, Mirabilandia, is a wildlife park that allows you to see more than 450 animals of 40 different species including wild animals up close and without barriers, as you could never do in a normal biopark. The route is the classic one on board your own vehicle (car / camper / coach) or the adventurous one with our electric car or, again, the educational one with our train (paid services to ask at the ticket office when making tickets and available throughout the day with a minimum request of 10 pax until all seats are available), to add to the journey among the animals in freedom the thrill of knowledge and contact: thanks to very well prepared guides you will learn the secrets of the animals, caress the most gentle species and create an emotional relationship with them. Entering the Ravenna Safari does not mean just doing the safari …. The Hotel Ostuni in Viserbella di Rimini will guide you in choosing the attractions, ask our staff for advice, we will be happy to help you plan your trips. For Italy in Miniature we offer a free shuttle service.